Yes, I did start this post with a #! It’s a social media thing… love it, hate it, get over it! You all probably know by now, I totally adore Joy The Baker. Yes I do… she is awesome, cool, a baker, a blogger, photographer, has super cute style, cookbook author, has a rad fluffy cat….yes I am a fan! Recently she introduced this “baking boot camp” on one of her posts. I was very curious. A challenge you say? I used my small dutch oven to bake this in. All my other cast iron skillets are bigger, so this one worked perfect. 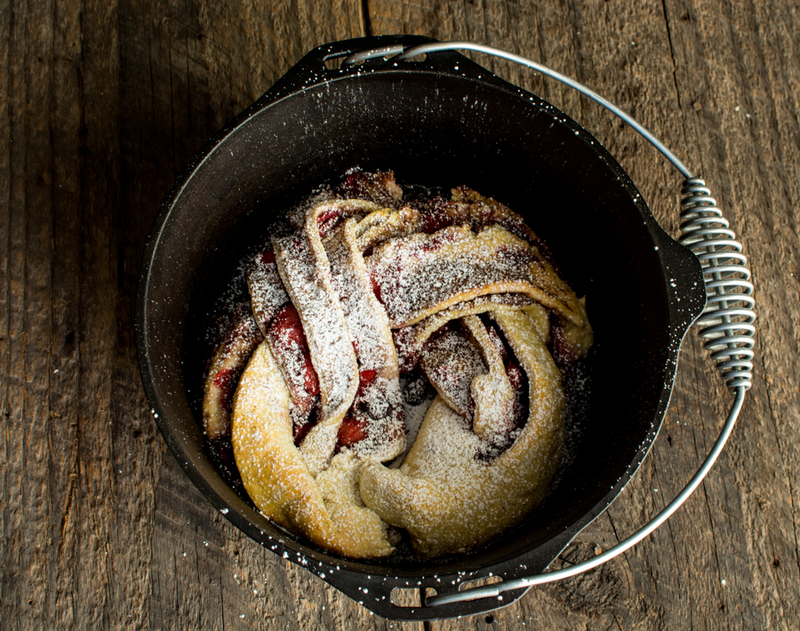 Joy says you can use just about any pan, pie dish, or spring foam pan. 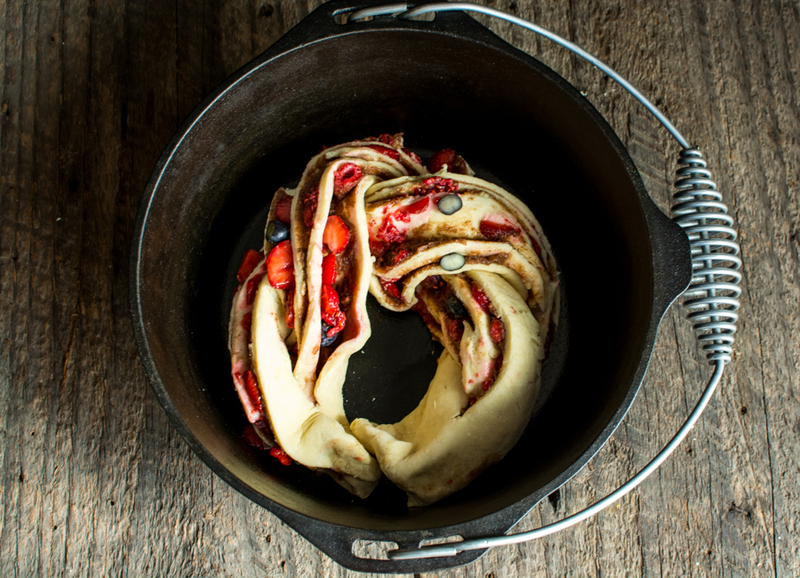 It really is easier than it looks to make this swirl bread. I was very surprised! 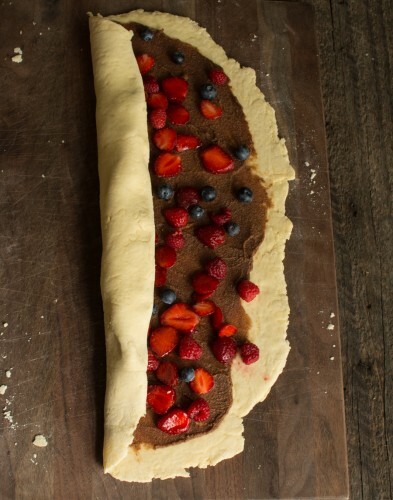 The berries and cinnamon work so well together! 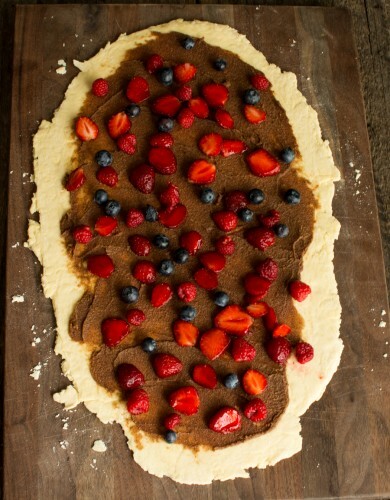 It tastes like a cinnamon roll with fresh summer berries all wrapped up in one. Now that is what I call a fabulous Sunday morning! I can’t wait to try the next recipe in the #bakingbootcamp challenge! Ready to get your apron dirty? 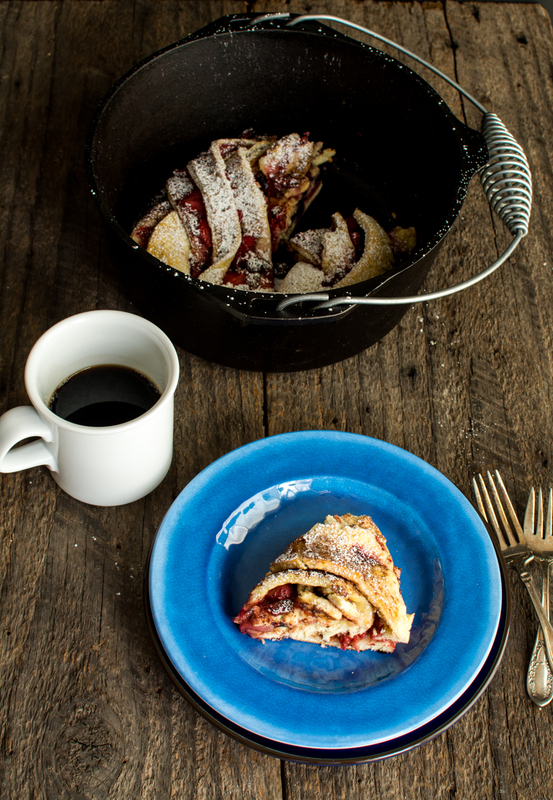 Click HERE for the recipe….. yes I’m sending you over to Joy The Baker’s blog. 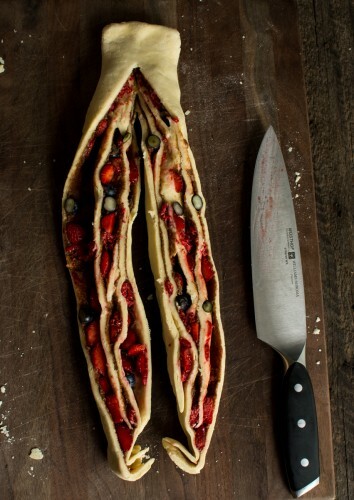 She has an AMAZING video on this that will help you immensely on assembling this beautiful bread. This looks amazing! Are there any tricks to transferring it into the dutch oven? It looks like it could fall apart fairly easily. 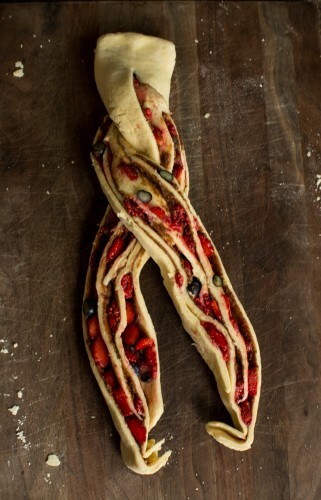 It actually transferred over very well, use both hands and wrap all fingers around and support the bottom of the dough. I love your wood and your distressed flatware/bowl. And you are right about Joy the Baker. I tried to get my cat to sit with me by the table, and not only would she not do that, even for a picture, she got visibly upset! 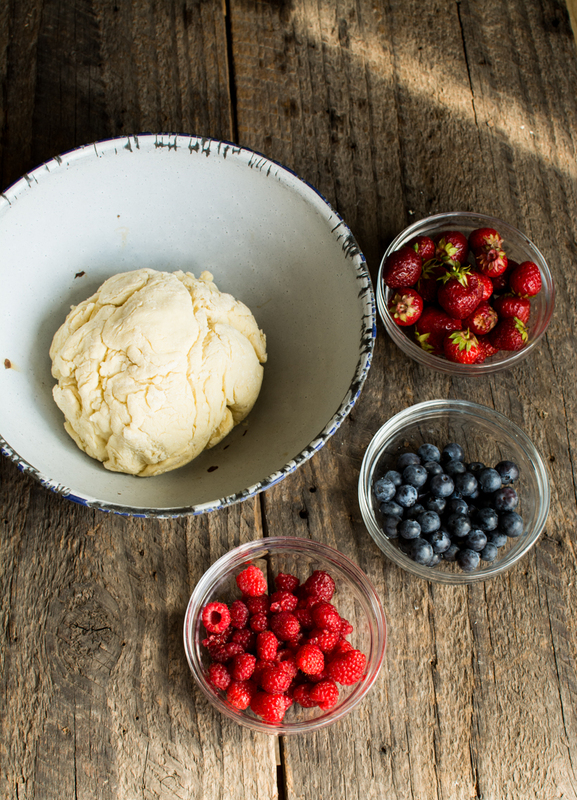 I love the way the berries look encased in the raw dough!